Despite the fact that I never seem able to keep things neat consistently, and instead require mass clean-ups every few days, I am obsessed with being organized and tidy. I'm the worst kind too, because if it's my mess I don't see it, but if it's anyone else's I become obsessive about trying to tidy it up. Apologies to all, friends and roommates. I'm trying to turn over a new leaf, and maintain tidiness in my own space, enjoying my beautiful hardwood floors is easier if they are not strewn with outfits from the past weekend. Now that I have a dresser and am fully unpacked, the maintenance of both the dresser and my closets is key. These closets, from Cupcakes and Cashmere, and The Glamourai, offer definite inspiration to keep myself tidy and able to enjoy - and see - the things I own! i'm with you--i'd like to think of myself as organized, but i have to do an overhaul every few days!! those closets are swoon worthy. 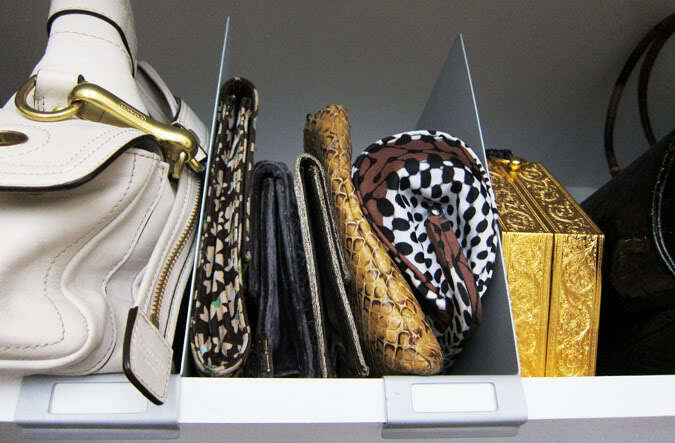 There is nothing better than an organized closet.